Truth time. I don’t like Ranch Dressing. I never have. In fact I feel like the only Midwesterner that doesn’t! I’m really not sure why, it’s just not my thing. But my hubby is a Ranch Dressing kind of guy. It’s his favorite dressing for topping salads, making dips, and dipping veggies. It’s all good…nothing says we have to like the same foods! But since he’s the only one in our house that eats Ranch Dressing, he doesn’t go through a bottle very quickly so for us it makes more sense to have a Ranch Dressing Mix on hand to whip up only the amount he needs at a time. And no, I don’t mean those little packets you get at the store, I mean an excellent FRESH tasting Ranch Dressing Mix recipe that we make! This recipe is super easy to put together and each batch only costs a few pennies since the spices in this recipe are common and inexpensive. So let’s make it! Mix all the spices together. I used a glass jar for storage and so I could just shake everything together! This batch will fill half of a pint jar so if you use a lot or want to fill up the jar, you’ll want to double the batch. It’s quite pretty! 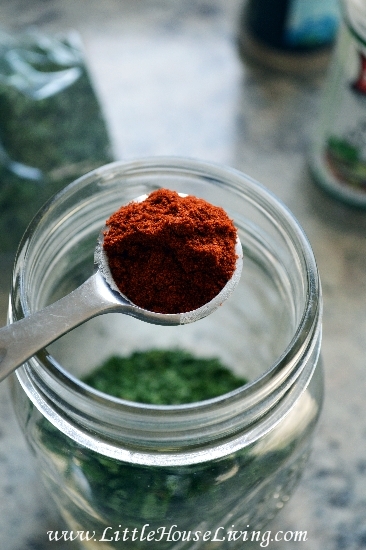 Once you’ve added all the ingredients to the jar, shake to mix! I love the plastic Ball Jar Lids for easy storage. When using this recipe in the place of a store bought mix in a recipe, 1 Tablespoon on this mix equals one envelope or packet of mix. 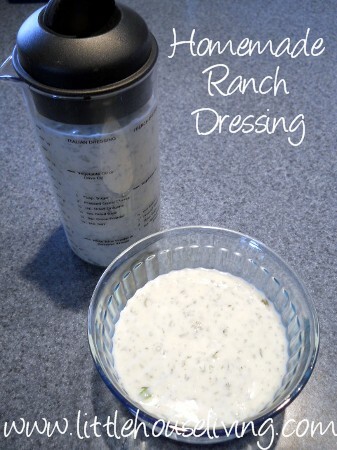 You can add this Ranch Dressing Mix recipe into some sour cream (Get cultures to make your own Sour Cream here) and let it sit for a few hours for a delicious dip or you can coat diced potatoes with the mix before baking for a tasty side dish. 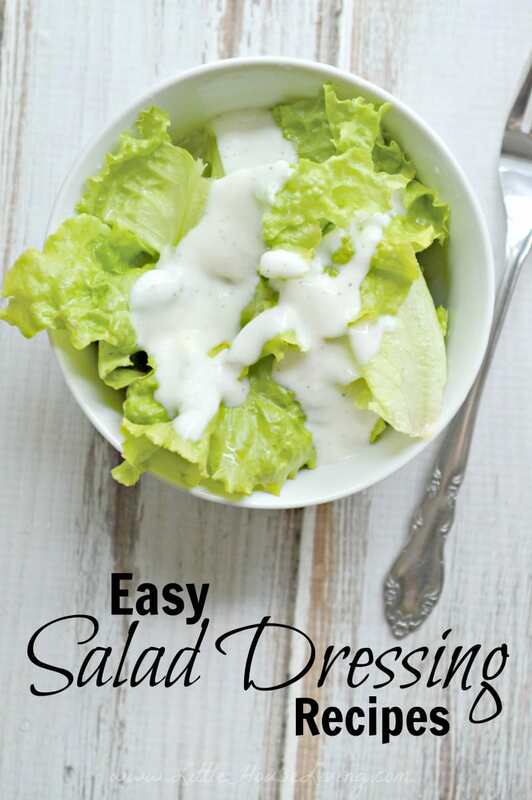 Or of course, mix with mayo, milk, and sour cream to make Ranch Dressing for salads! Need more mixes to make? Check out our full page of Homemade Mix Recipes! What do you use Ranch Dressing Mix for? What other mixes do you like to make? I am wondering if you have a homemade mayo recipe on your site. I use a pretty good 365 organic one, but would love to make my own. I don’t think you can avoid the raw egg though. What do you think? I’m not sure about avoiding the egg, we do have a recipe for Homemade Mayo here but we do include eggs in it. 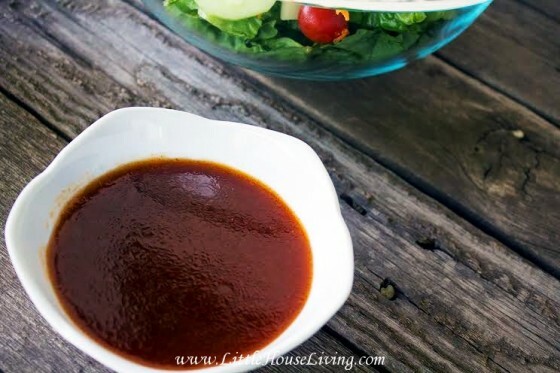 Can you tell me the portion to make the dressing? I have been looking for a good recipe that doesn’t contain buttermilk. I would LOVE to try your recipe, but I am not good at figuring out how much of each for “mayo, milk, and sour cream” to add. Can you please share? How much mix do you put in with those amounts? 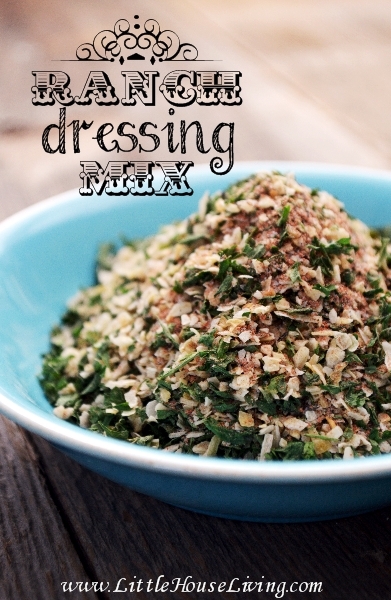 This is the first time I’ve found a DIY dry mixture to create a dressing. Not huge fans of the “fake” dressings from the store with all the additives. Love this idea, thanks! Pinned!! We’ve made several of our own mixes for about 4 years now. This is one of them!!! I can’t do MSG and nearly all dressings have it. Great recipe!! Thanks for sharing! I’m going to have to try making ranch dressing with sour cream one of these days – we’ve always used yogurt ever since I can remember – probably because we made a lot of our own yogurt. I’m so glad I’m not the only one who does not like ranch dressing! 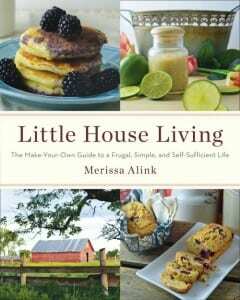 After many years, I have finally learned to eat it if it is the only option…Anyhow, I was still excited to come across this because there has been more than one recipe I have skipped because it called for a packet of ranch dressing mix that I refuse to buy because of the additives. Thanks for sharing! That looks awesome! My family likes the mix much better than the stuff in a bottle and a real food way to make it is even better. Thanks. This is a lifesaver! 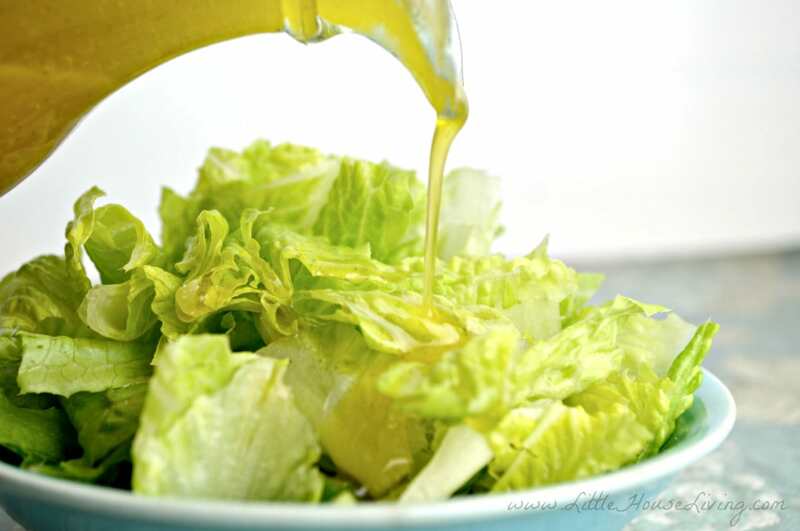 (No Seriously) In Italy we don’t have ranch dressing – or actually anything beyond Oil and Vinegar! 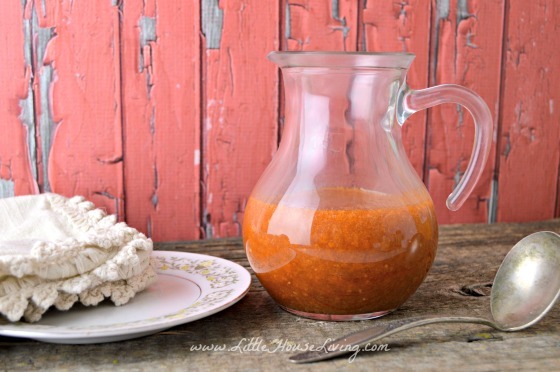 Going to be making… a liter of this! Love how simple this is; we definitely have to try making this. My kids love Ranch dressing, and this would be so much better for them. Pinning for sure. Thanks so much for sharing on Inspire Me Wednesday. Featuring you in next week’s issue. My family doesn’t even know they are eating probiotics! Hi Melissa! Where do you recommend to buy spices and dried onions and such? Love your recipes! I usually buy spices in bulk from my coop, Azure Standard. Especially for things I use all the time. For things I don’t use much I’ve been able to find them at the grocery store or dollar store for pretty cheap and many of them don’t have any anti-caking agents or preservatives added if you watch the labels. 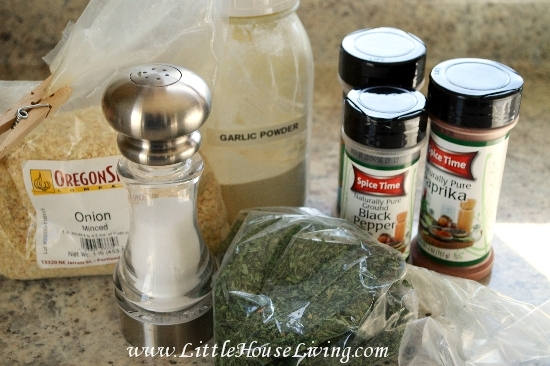 I love how easy this recipe is, and without all the added sodium! I’m not a big fan of ranch dressing, but I love mixing the dry mix into different salads and such. This is great! Yum! I’ve been making my own mix for a couple years but this mix is totally different. I love the addition of the onion! Thanks for linking up at Make Bake Create! 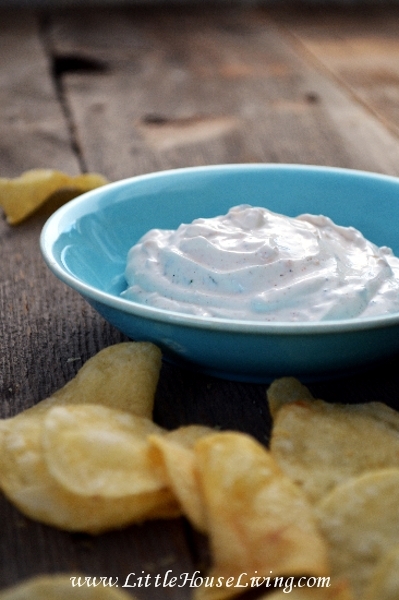 What about using greek yogurt as a sub for sour cream? Have you tried this and if so how much? I have not tried this but it’s worth a shot! Let us know if you do. Hi love this idea. I think I’m gonna go mix some up right now 🙂 Can you tell me how much mix and sour cream to make a dip? I don’t wanna go overboard and put way to much in. Thanks. I have not added it but you should be able to. I don’t think I’d add more than a tablespoon or two. I just love this mix. You printed this recipe about a year ago and I have been using every since. Chip dip, baked potato, veggie dip, salad dressing and I even use sometimes on a nice roast I also keep mine in a mason jar because I refill it a lot. Thank you for the recipe and your site I enjoy following you. We totally need to start doing this! We just moved to Costa Rica and ranch isn’t super popular here. 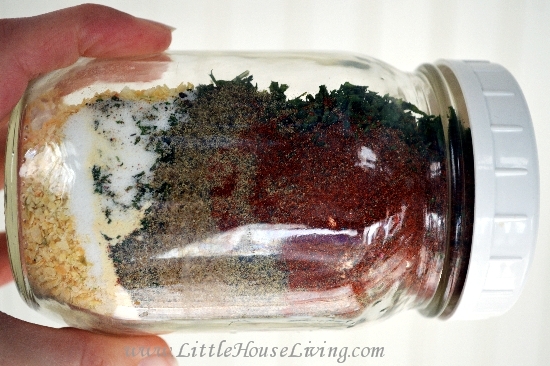 We don’t eat it that much, so this seasoning would be the perfect thing to have on hand! Looks like a great mix of spices!